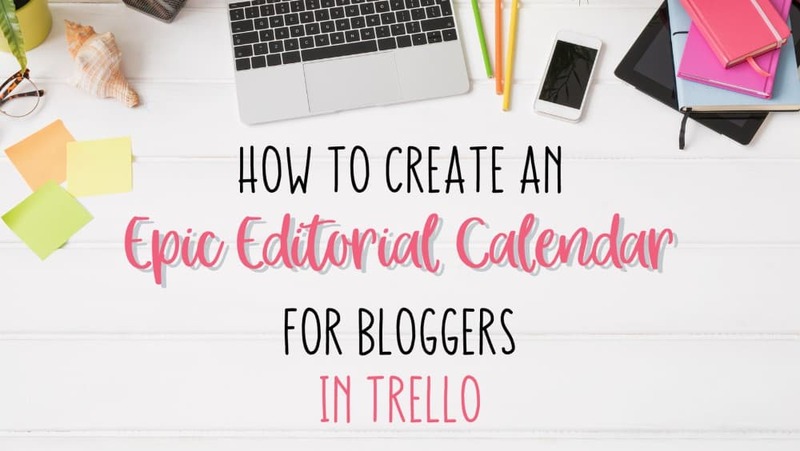 Are you ready to create the MOST EPIC editorial calendar for bloggers in Trello? I know, I know it’s a big claim. But I saw a need in our blogging community and I wanted to fill in the gap! Do you want to set up your Editorial Calendar in Trello? Now, I mention in the video that Meera Kothand’s One Hour Content Plan inspired some of my planning. If you want to grab her book you can find a link to it in my Best Blogging Resources post, it’s the first one in the post, because it’s just that amazing. She sometimes even has it for free on Kindle, I don’t know how, because the book should be turned into a course worth hundreds of dollars it’s so amazing. Anyways, enough of plugging Meera (she’s my fave). This is most likely going to take a little while for you to set up but OH MY is it worth it! Scroll down below for extra tips to apply to what you watch in the video! Each of the posts that you create in your lists have unlimited possibilities. Add your keyword research into your post cards. And as I promised, here is the link to the Niche Post Conversions Course I mention in the video. And here is the sign up for my Organized Resources course! You can create your own Content Checklist by created a card, and opening it up and creating a list. Name the list your post workflow. And then add EVERYTHING you do for your posts, start to finish and even how you promote it. And then select the checklist you created. And voila! Each time you’re writing your post you can go in and check off everything on your list. I mentioned that I’m going to create a course on this idea. So that you will have a step by step guide to creating the perfect blog post. But that doesn’t mean you can’t get started now with what you do already. Once I’m ready to start working on the course, don’t worry I’ll let you know about it! It is an Editorial Calendar right? I forgot to mention this in the video, silly me. With the free version of Trello, you can add one free power up to each board. An option for your calendar will now appear in the top right corner above your lists. If you add dates to your cards, they will show up in your Calendar add on. If you go past the day it is due it will turn red on the card. Are you ready to set up a free Editorial Calendar? Sign up below to access the video in my FREE email course!